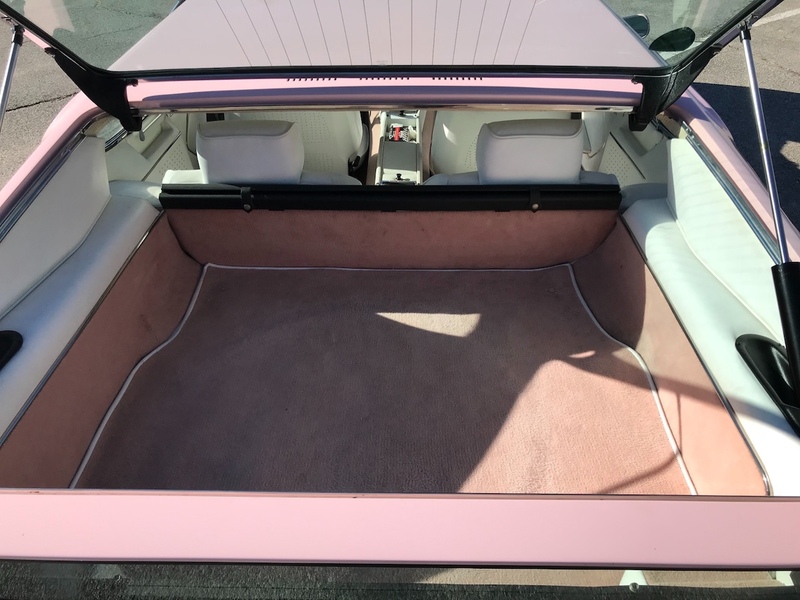 Lorrie Stern is parting ways with her pink Pebble Beach Concours d'Élégance-ribbon-winning, wedge-shaped Lambo. 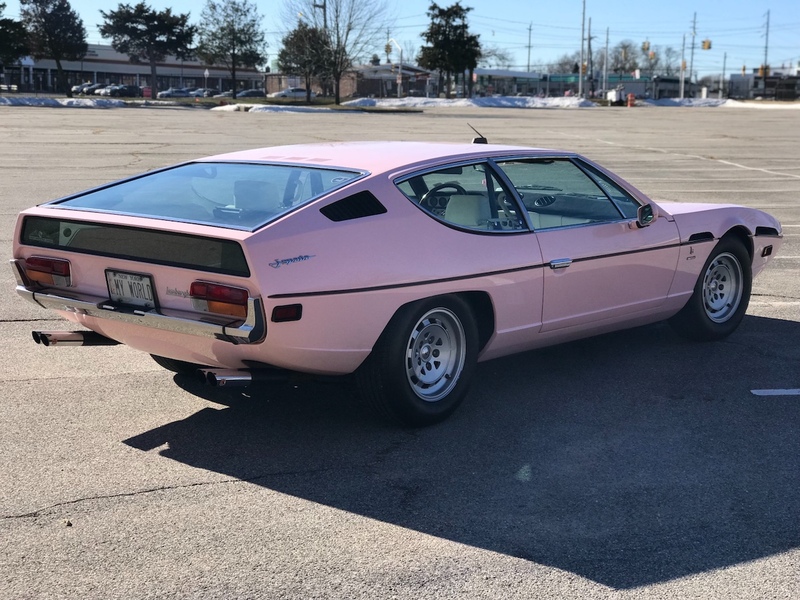 The Lamborghini Espada is already an odd-looking beast, but one New York owner wanted hers to stand out even more by painting it pink. 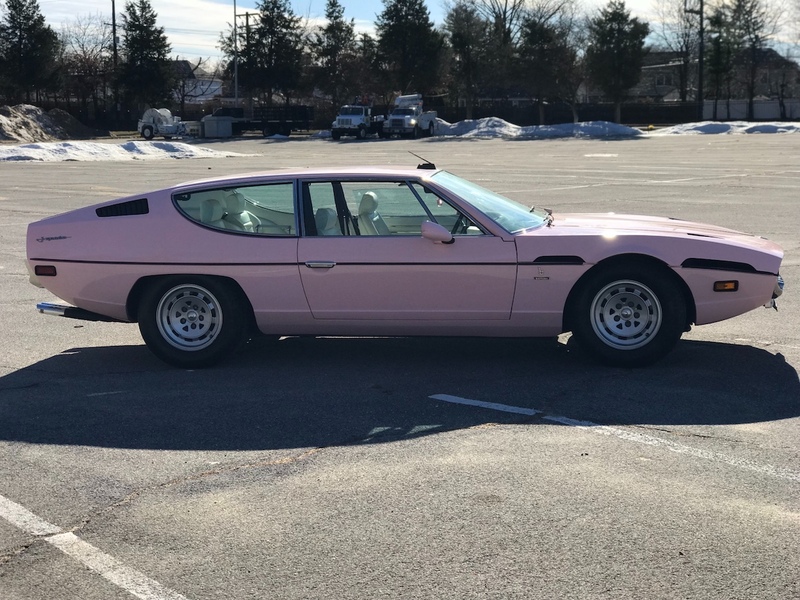 The car has acquired quite a reputation in the past decade, and now it's for sale on Bring a Trailer. 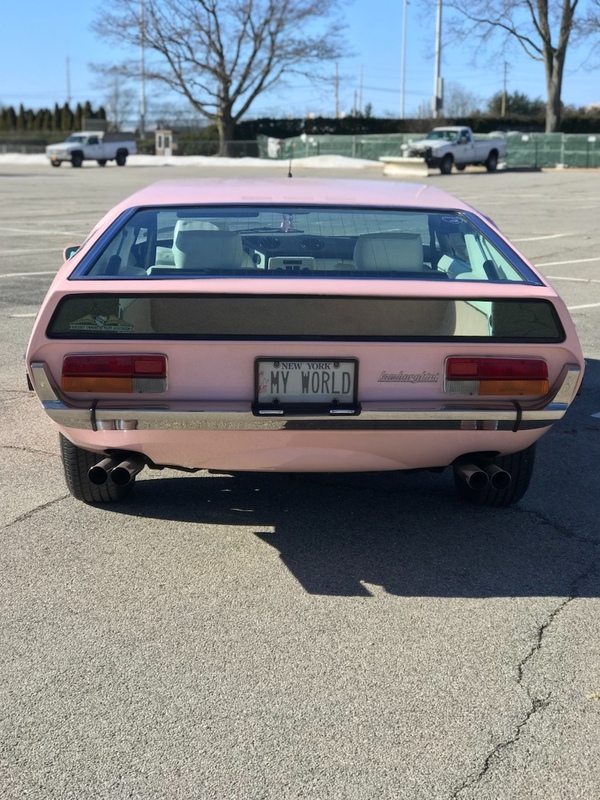 To understand why this car is so highly regarded, one needs to know the story of its owner, Lorrie Stern. In an article from 2010 in The New York Times, Stern describes her many escapades with the grand-touring Lamborghini. 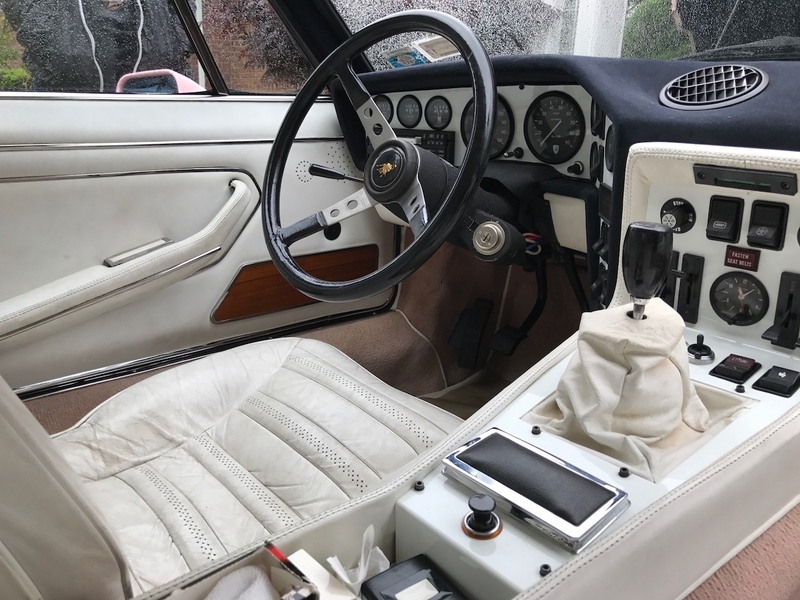 She was always fascinated by European cars, owning a Jaguar E-Type and Fiat 124 Spider before this car. The bright green Espada was a Christmas gift from her late husband, a fellow gearhead who said she could have it if she drove it every day. 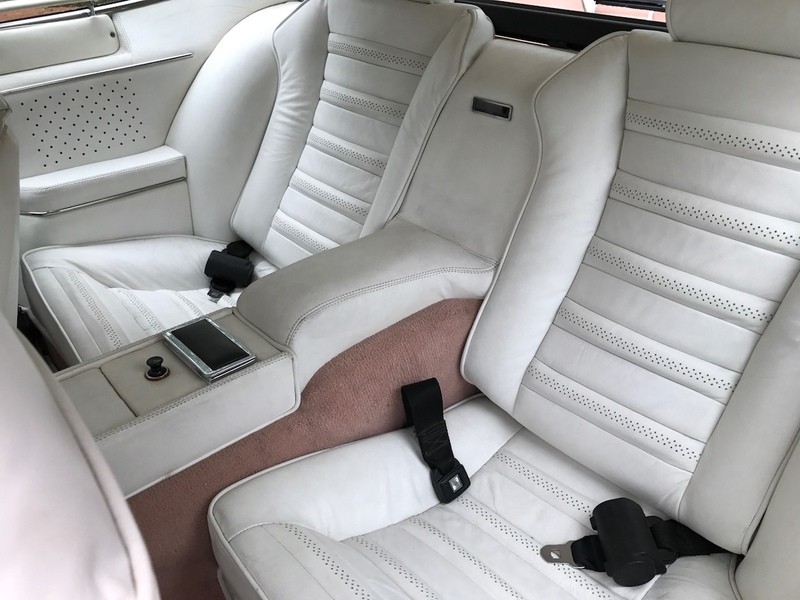 Stern did just that, taking it to the track and on road trips with the local Maserati club when she wasn't using it to cart her four children and eventually five grandchildren around. 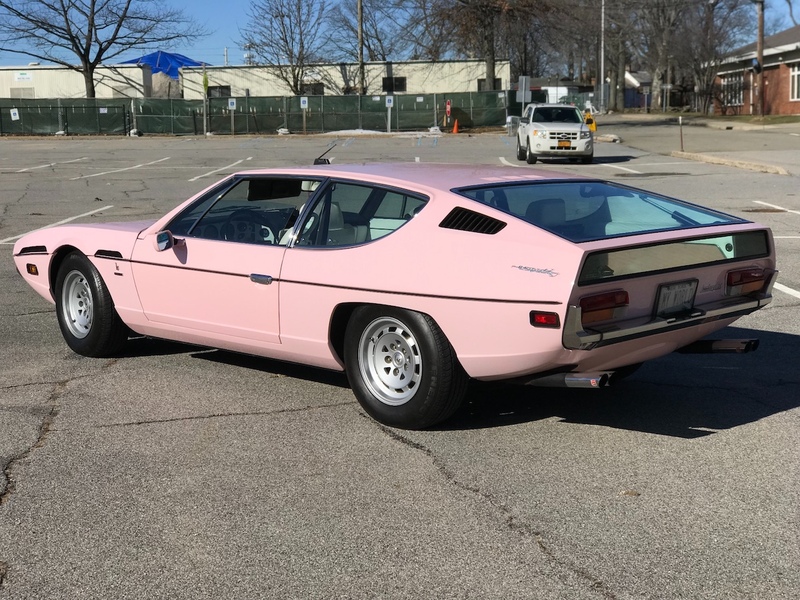 According to the article, Stern had her Espada repainted pink and restored in 1979, and won an award for it at Pebble Beach Concours two years later. 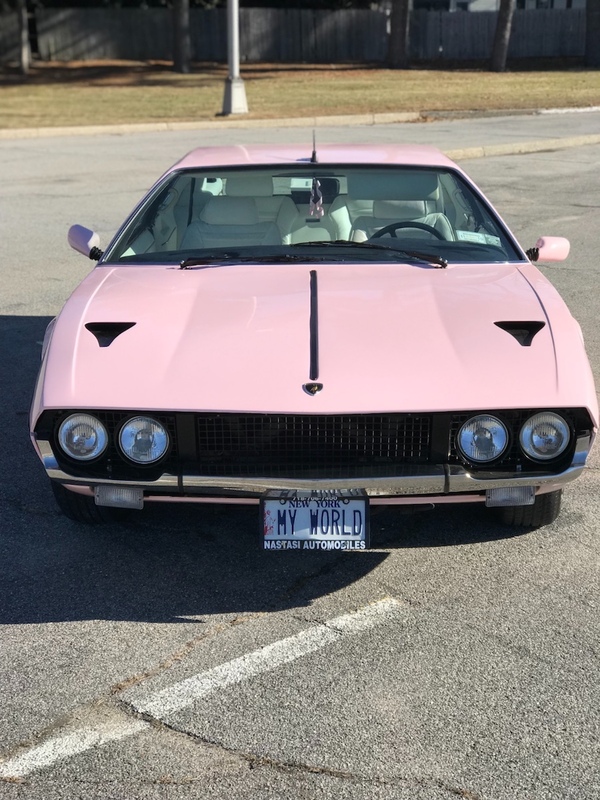 Since then the pink Lambo has racked up an entire dining room table's worth of awards, both for its interesting paint job and the owner behind it. 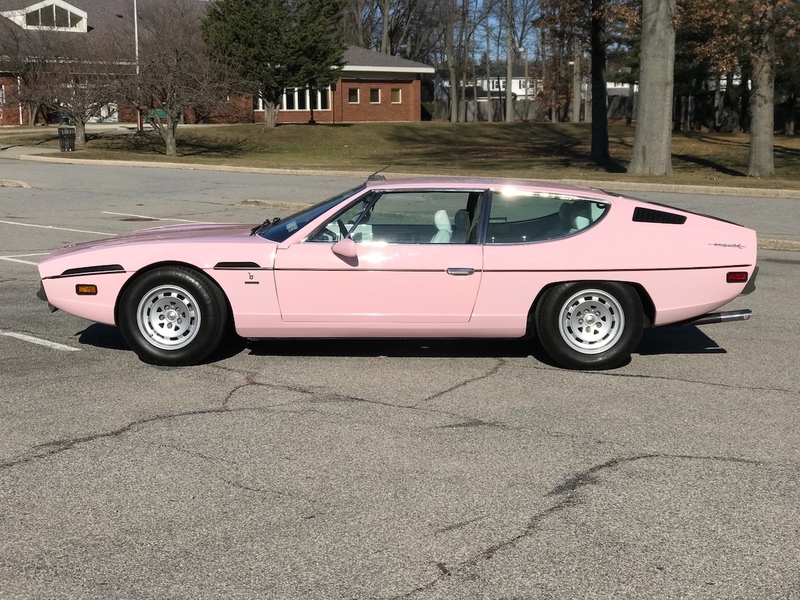 The Espada itself is a 1974 Series III, complete with a 3.9-liter V-12 and a five-speed manual transmission. 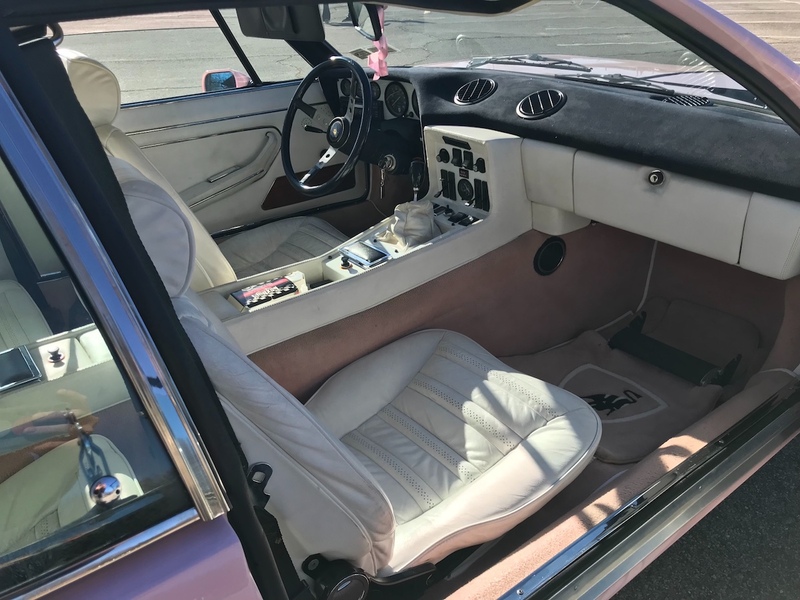 It wears 15-inch Campagnolo wheels and the interior has been upgraded with white Connolly leather and pink wool carpeting. The odometer stopped working at 98,832 miles, but actual mileage is estimated to be 110,000 today. All of the Espada's original manuals and restoration photos are included with the purchase. 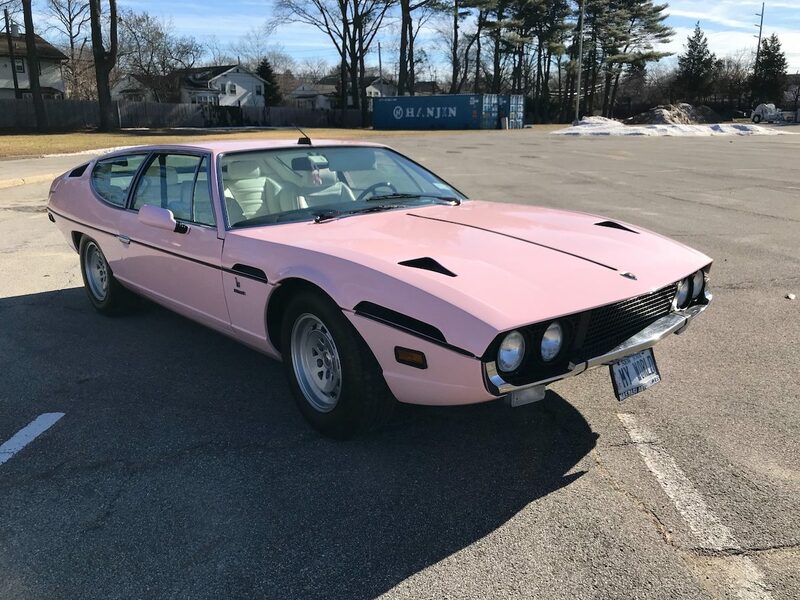 Now is your chance to buy a well-loved, four-seater Lamborghini owned by one of the coolest grandmothers around. This custom bubble car is probably the cutest hauler you can buy. When Hell freezes over, it's time to play. Sure, it adds features and improves performance, but that doesn't help when you're stuck in traffic. No, it has nothing to do with Ralph Lauren, or ponies. Ken Block. Two RS Daily Drivers. All Heritage.